The OVER-UNDER is 4-1-1 in six games between the two teams this season and another high-scoring game could be in store on Sunday as Lucas Giolito and Dallas Keuchel take the mound. 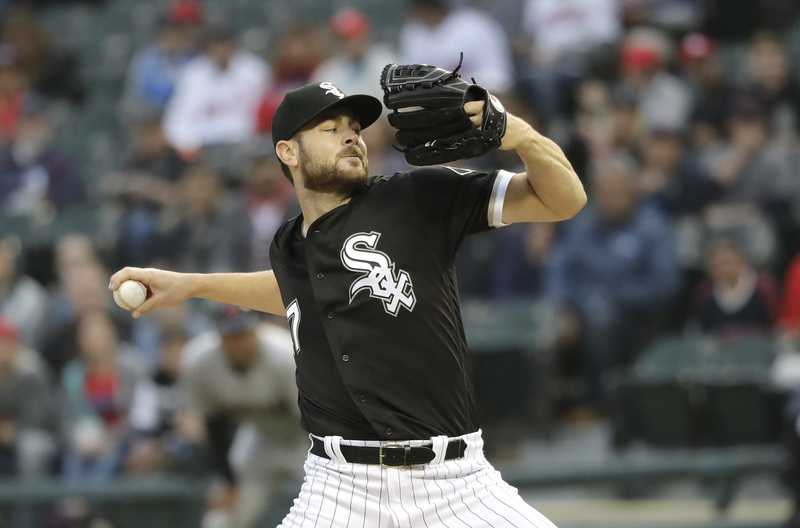 The OVER-UNDER is 4-1-1 in six games between the White Sox and Astros this season and another high-scoring game could be in store on Sunday as Lucas Giolito and Dallas Keuchel take the mound. ## [Odds: White Sox (30-59) +270 at Astros (60-31) -310](https://www.betchicago.com/mlb-betting/coverage/4700378f-aa3e-467f-93c7-a085a8a1558c) ### Total: 8.5 (UNDER -115) *2:10 p.m. ET/1:10 p.m. CT* Houston, which is 23-6 over its past 29 games overall, has beaten the Sox in five of the six games this season, scoring at least 10 runs in four of those contests after Saturday's 12-6 win (+39 run difference in the series). At just 8-25 over their past 33 road games, the White Sox hope to get to the [inconsistent Keuchel](http://m.mlb.com/player/572971/dallas-keuchel), who gave up six earned runs in his last home start and owns a 5.36 ERA over his past seven games. Considering the White Sox have seen the OVER hit in 14 of their past 18 games, reaching a combined nine runs with Giolito (5-7, 6.93 ERA) on the mound isn't out of the question. Giolito gave up four runs and two homers before recording an out in his last start and is now facing an Astros team with the second-best on-base percentage against right-handers in the American League. Giolito was tagged for nine runs in just two innings of work against Houston earlier this season. __Trends__ White Sox are 2-8 in Giolito's last 10 starts against a team with a winning record. OVER is 9-3 in Astros last 12 games vs. American League Central. OVER is 6-2-1 in Keuchel's last nine starts overall. __Players to watch__ [Jose Altuve](http://m.mlb.com/player/514888/jose-altuve) and [Josh Reddick](https://www.baseball-reference.com/players/r/reddijo01.shtml) homered off Giolito on April 21 in a 10-1 Astros win. The young Sox pitcher walked seven of the 18 batters he faced. [Jose Abreu](http://m.mlb.com/player/547989/jose-abreu) has been mired in a slump the past month, batting just .175 over his past 30 games but the first baseman has owned Keuchel over the years. Abreu is batting .389 with two homers in 18 career at-bats vs. the southpaw while [Avisail García](http://m.mlb.com/player/541645/avisail-garcia) is batting .350 in 20 at-bats against him.